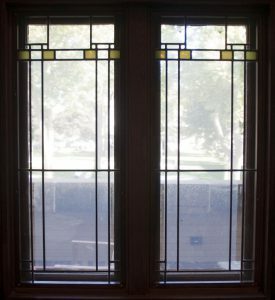 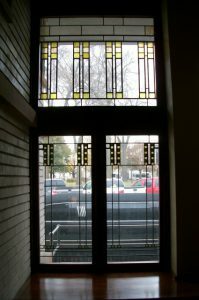 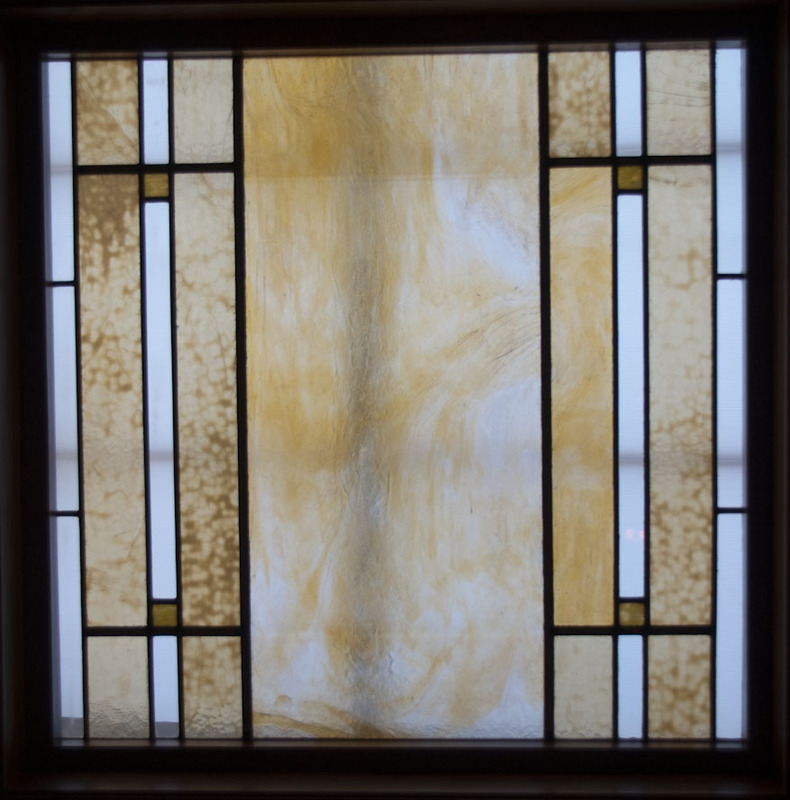 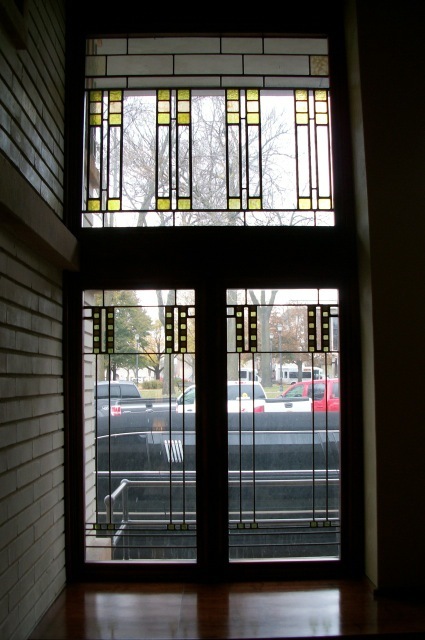 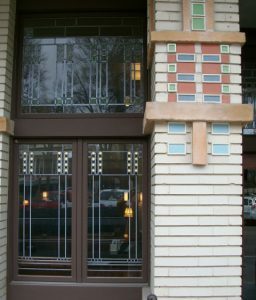 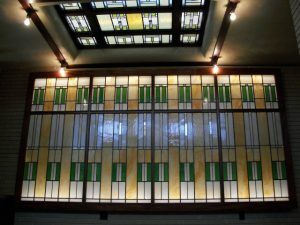 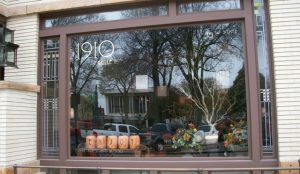 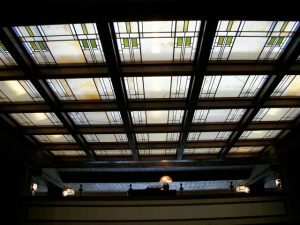 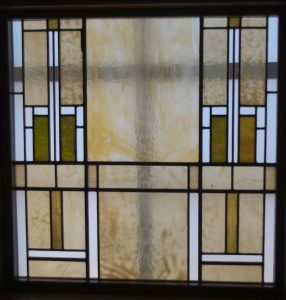 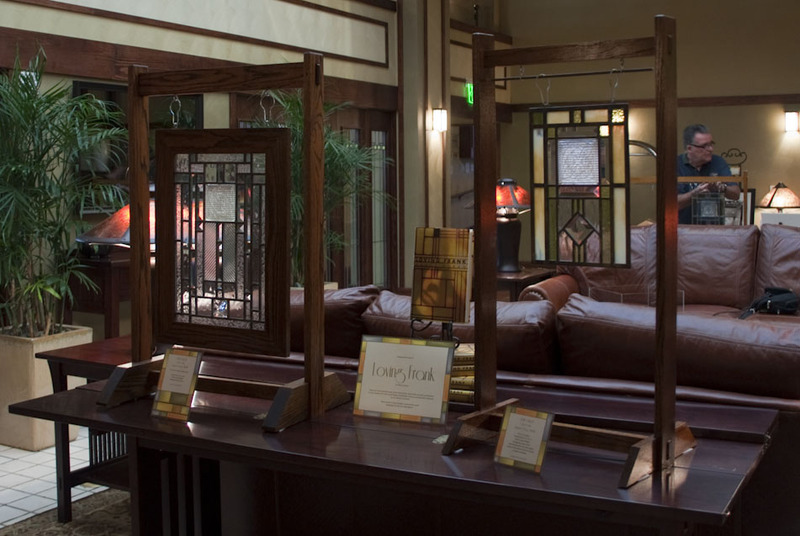 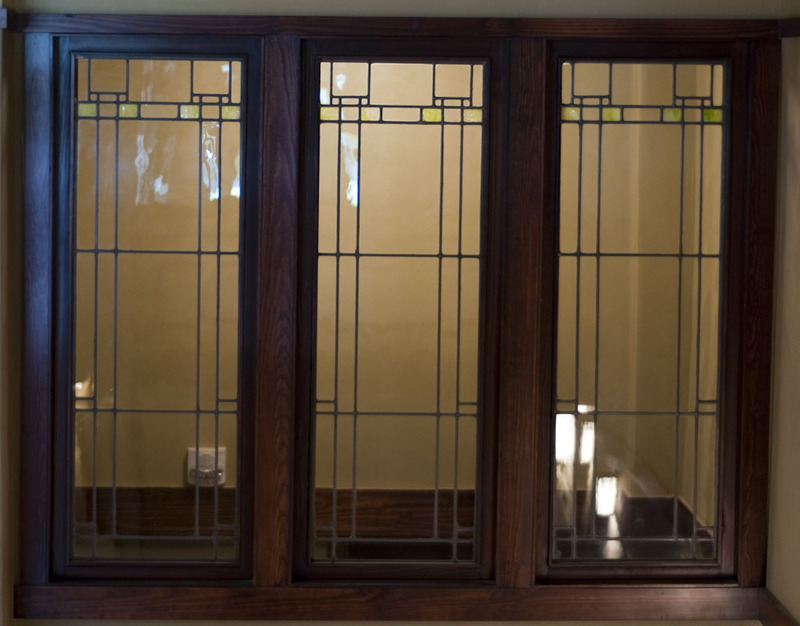 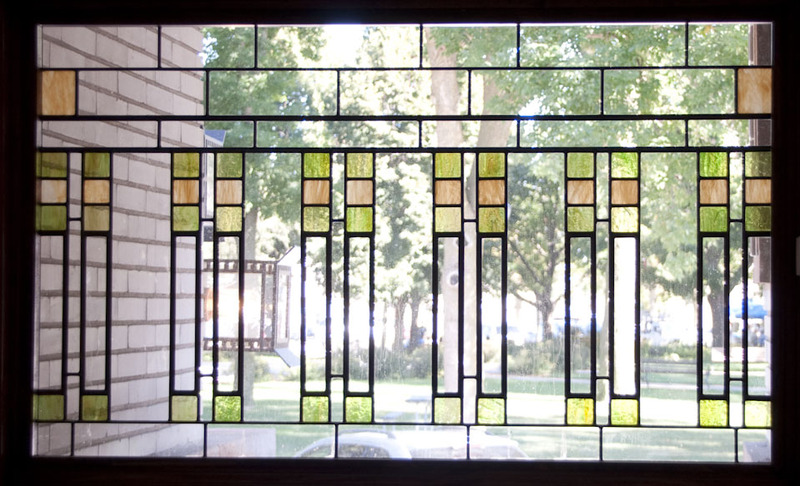 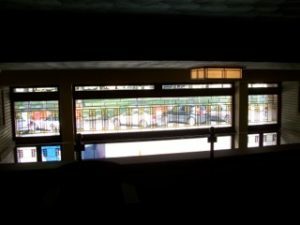 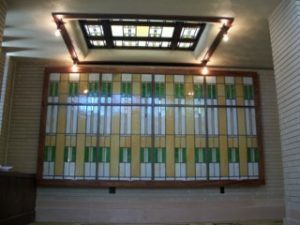 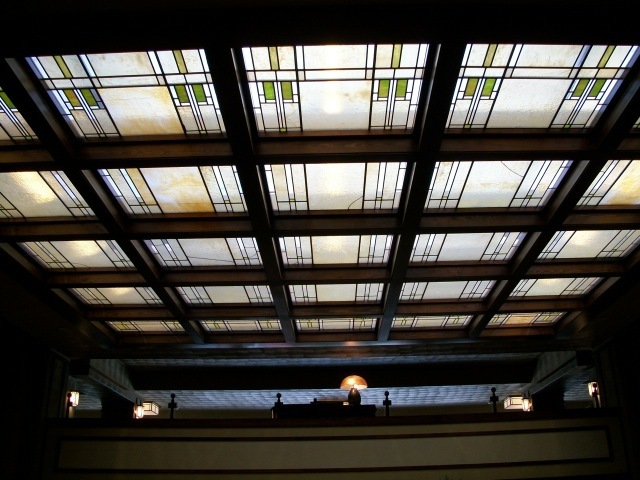 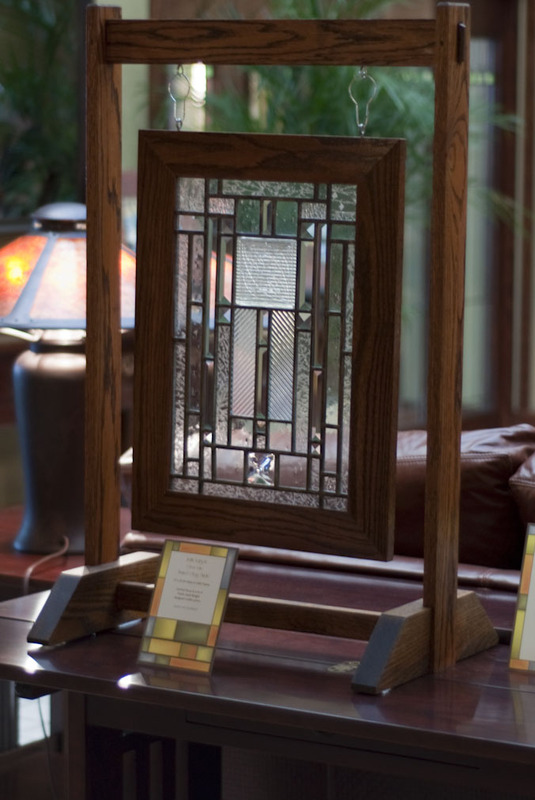 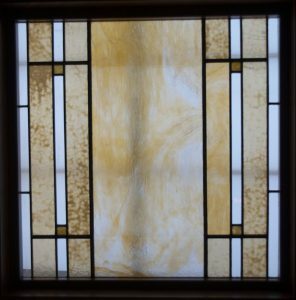 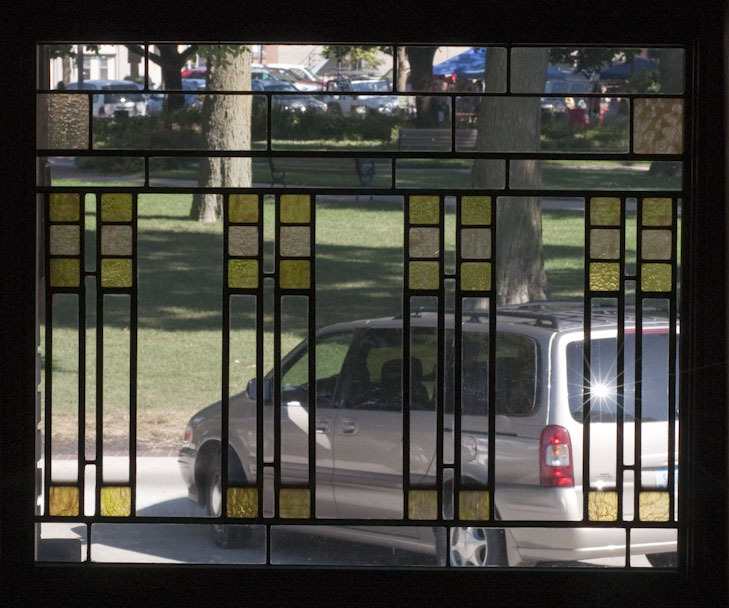 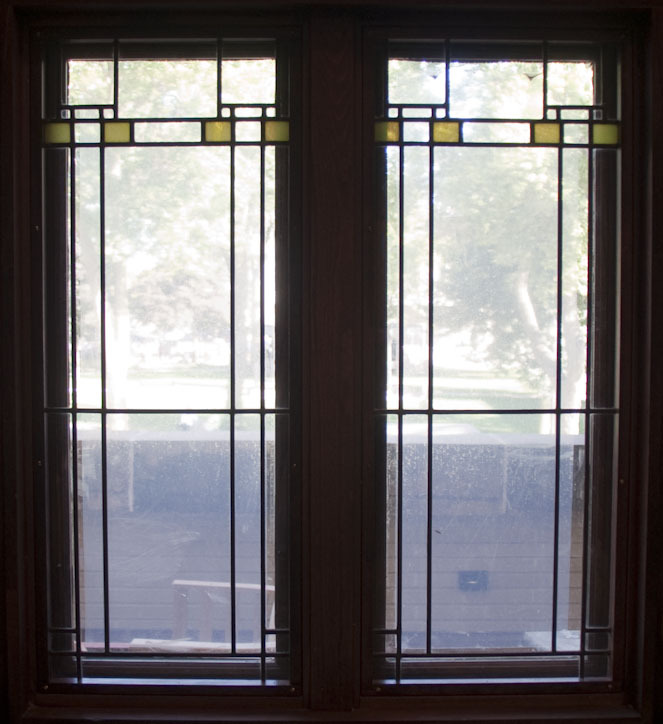 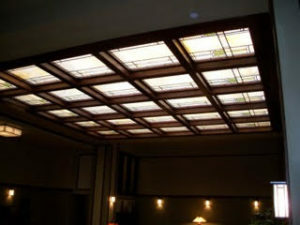 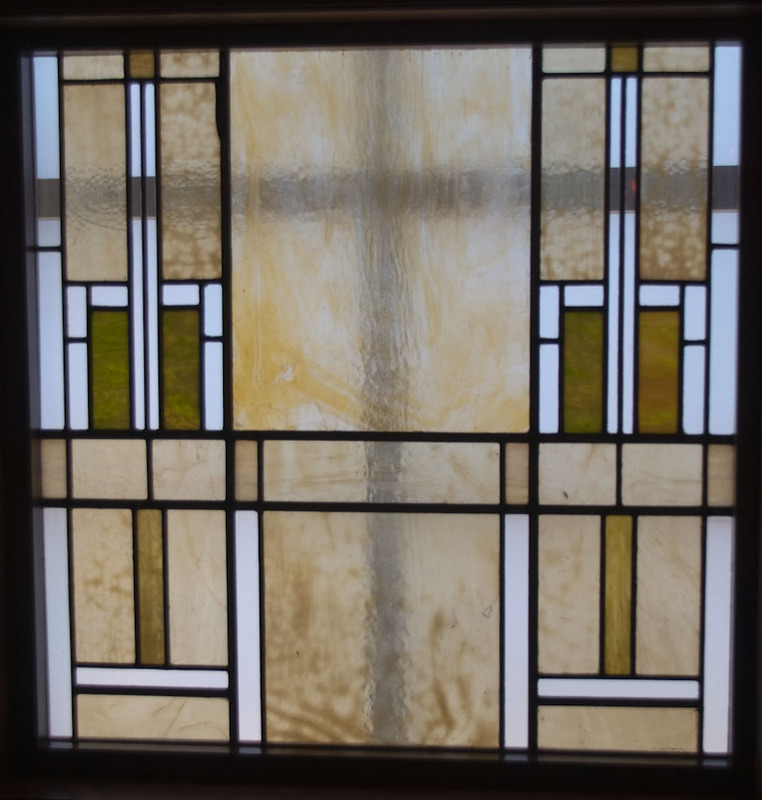 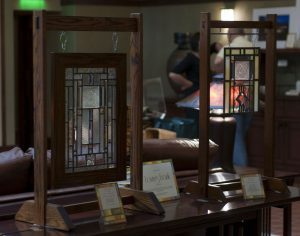 In 2007 our studio restored twenty five Frank Lloyd Wright windows that will be installed in the Park Inn in Mason City Iowa. 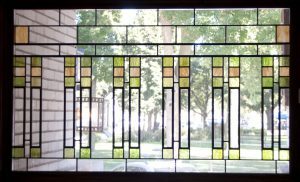 The Kokomo Opalescent Glass Company made new glass to match the old glass that was missing. 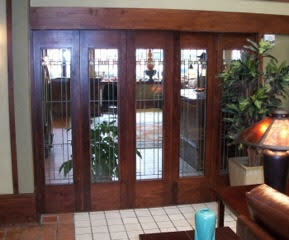 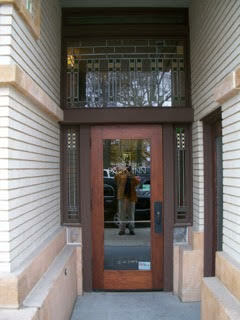 All the original glass was used and the zinc cames were replaced with new ones. The only addition was to add steel reinforcing to the back of the sky light windows for added support.